This was finished earlier in the week, but with the weather, the washing, drying and photo taking got delayed. 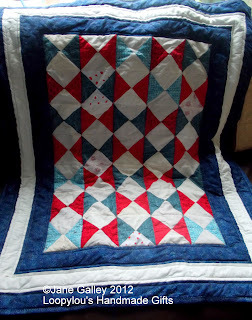 I did some simple quilting, then did the binding by machine, to make a quick finish. 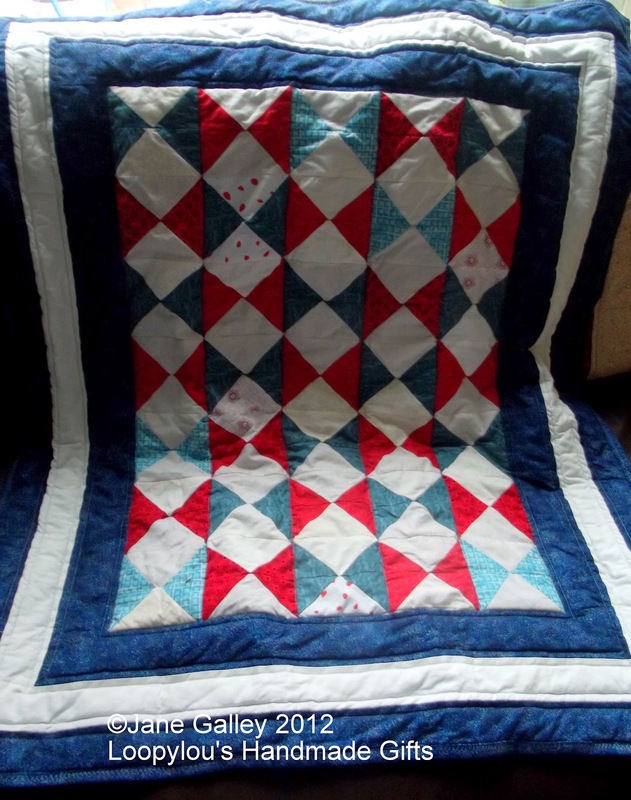 The quilt used up most of the flying geese units, but I had two leftover. My bonus from this sewing session, is a pincushion. 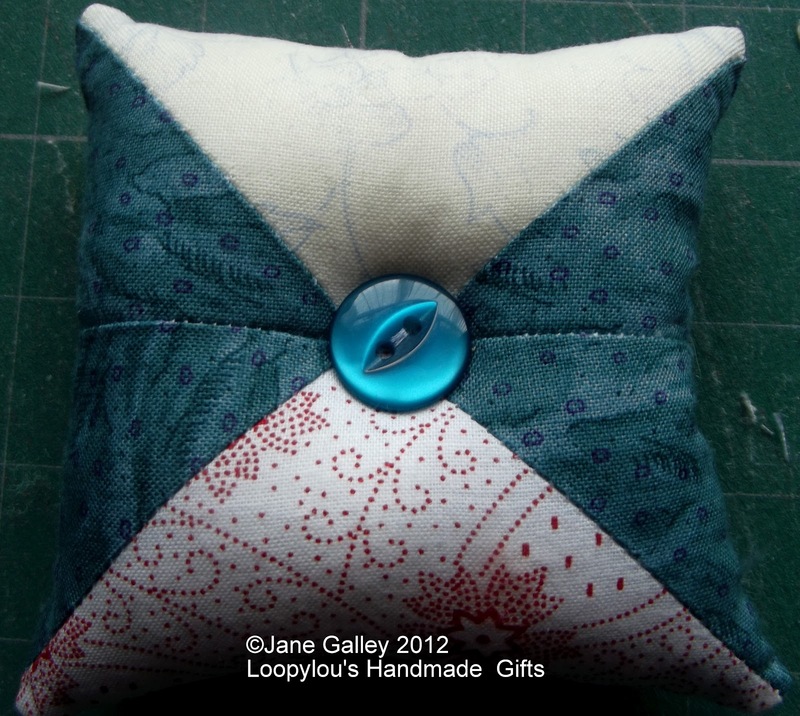 It's backed with the same fabric as the quilt, and the button is from my tin. The next top has been taken from the pile, and weather permitting, the finished wall hanging should make an appearance very soon. You are being so productive. Nice quilt and the pincushion is lovely. Very nice. It is always good to use up the last pieces from a quilt. The nautical look is quit boyish. Well done. 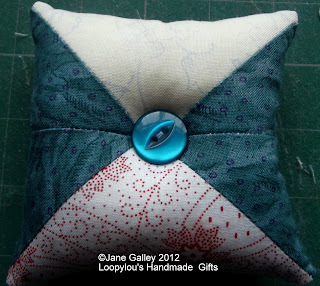 The quilt and pincushion are both lovely. Great way of using up the extras. I would say not only is the pincushion a bonus but the quilt too.....and I am happy to report that we have sunshine! Great bonus in the pin cushion. Congrats on your finished quilt.